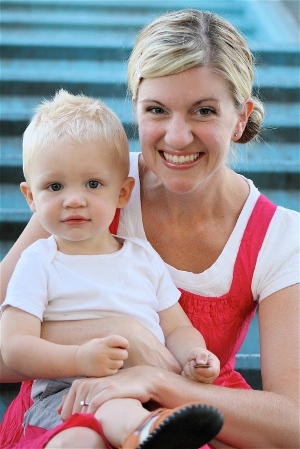 A 33 year-old mother of two, Dana’s husband calls her a busy-body. She couldn’t agree more. When the children go to sleep the count-down begins. How much creative energy can she expound in one night? Sewing projects, refashioning ideas, blogging, photo tweaking, skirt making, and late night cookie baking often keep her up till 2am. It’s a good thing the kids sleep-in till 8. Many of Dana’s sewing projects revolve around clothing, home decor, refashioning, creating her own patterns, and sharing Tutorials on her blog. Her designs have been featured in the upcoming Craft Hope book, in the British publication SEW Magazine, Wardrobe Refashion, and on sites such as Odeedoh and Craft. One her goals as a designer and blogger is to help the Sewer of any skill-level realize that they can sew without a store-bought pattern. Want to make something? Don't thumb through huge pattern books at the store, trying to find that image you see in your mind. Just do it! It's not difficult to recreate something that's already been done or to figure out how to manufacture an idea from your head onto fabric. You just need to understand some basics of how clothes are put together. Start by studying your own clothing. Take apart an old shirt and use it as a pattern for a new shirt. Your eyes will be opened to a spectrum of possibilities. And the more you create, the more you will surprise yourself at what a creative person you really are! Parallel to her sewing, Dana finds the photo shoot to showcase her ideas equally as thrilling. Trying to make clothing look beautiful and fresh through photography is a big part of what she loves and how she blogs. Please visit her at MADE.